Camee always had an ear for music because she grew up a dancer and trained in piano since a young age. Growing up in different places in the world such as South America, the Caribbean, Paris and Florida helped her gain a varied background and library of sounds that make her a favorite for events, wether it be restaurants and lounges, corporate events, parties or fancy yachts. 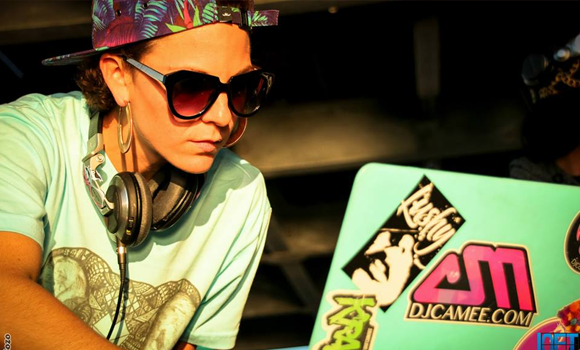 She is a Jazz, Neo-Soul, Latin Beats and Old School Hip Hop lover; which gears her towards Soulfoul beats. Her house sets are funky and lively, her Latin sets are handpicked according to the nationality, her elegant mixes delight everyone, and her unmatched ability to read a crowd allow her to get into whatever mood her spectators or clients need. Throughout her career, Camee has evolved into a versatile DJ who can spin in heels and get down in sneakers and a pair of jeans. She does not discriminate which event is more apt for her as she is a chameleon that gets the party going as she steps in.